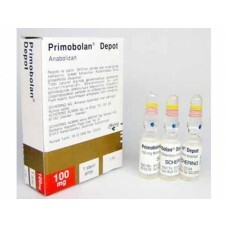 Without question, Primobolan Depot is one of the most popular anabolic steroids of all time, and it's popularity largely rest on fantasy more so than anything else. Make no mistake, this is a fantastic anabolic steroid; however, it is its high purported use during the Golden Age of bodybuilding that has made it so popular, particularly that of Arnold Schwarzenegger's. It has often been stated this was Arnold's favorite steroid, and whether that's true or not only he can answer, but due to who he is the label has been enough grant Primobolan Depot immeasurable popularity, not only in bodybuilding circles but all performance enhancement circles. As it is extremely popular, as the demand is so high this will normally not be a very cheap steroid, and to make matters worse it is one of the most commonly counterfeited steroids on the market. Even so, there's plenty of quality Primobolan Depot to be had, but you better know your supplier well before you make a purchase. As is the case, assuming you put in the effort to find a quality product, you will have in hand one of the more well-tolerated anabolic steroids; in-fact, this is one of the best steroids women can ever choose. Rather mild in many ways, Primobolan carries a very low virilization rating; not as low as Anavar, but a reasonable second choice. 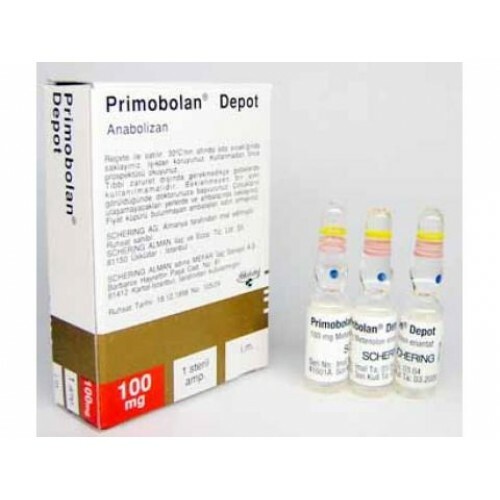 As a relatively mild anabolic steroid, Primobolan Depot is not well-suited for large buildups in mass; it will not promote mass like Testosterone, Nandrolone or Trenbolone hormones, and it most certainly won't promote mass like Anadrol or Dianabol. Even so, it can be used successfully in a mass gaining phase and provide some nice lean gains; for women, it can be very useful for this purpose. Price is for 1amp 100mg.